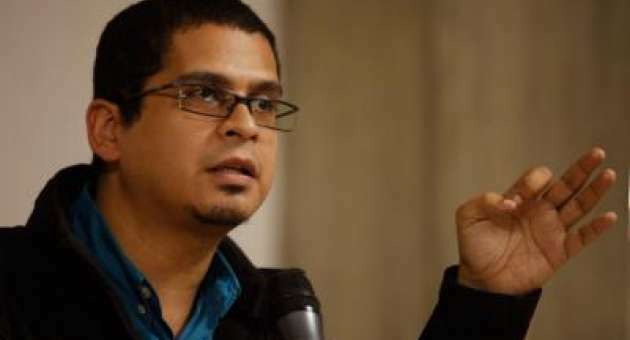 Boris Muñoz is one of a select few “must-read” Venezuelan writers. His latest for the New Yorker – talking about our black-and-blue National Assembly – is a doozy. Apparently, chavista “intellectual” Nicmer Evans thinks people who confuse chavismo with a personalist, autocratic, no-criticism-allowed movement … are mistaken! They somehow misunderstood what Chávez meant to teach them. It must have been because Chávez trained them to obey him, and him only, without conditions. Nicmer seems to think we call chavistas “trained seals” out of spite alone. Apparently, the violence in the National Assembly is the sad by-product of internal fights within chavismo. In other words, they can’t get along, so Julio Borges’ forehead has to pay the price. They can’t find common ground, so Maria Corina Machado’s nose must be broken. Apparently, there are several sane chavistas out there who can now (finally!) sleep at night because they criticized Maduro to a journalist for a foreign publication, making it clear that they are absolutely against beating up their fellow deputies and taking away their right to speak. It’s just too bad that they don’t have the guts to say those things on the record. What the piece does – perhaps without wanting to – is lay bare the moral bankruptcy of chavismo. Even the “good,” “sane” guys come across as unbearable hypocrites with no moral compass, cashing in on a movement forged in violence, that governs with violence, and only promises violence, and yet somehow finding a way to dissent anonymously, quietly, by way of secret tape recordings. Message to chavistas with a glimmer of a conscience: the moment for ditching this ship out of principle passed a long time ago. There is no point of return for you anymore. The worst aspects of chavismo – the violent, thuggish, autocratic god-given mess it has become – is what you’re wedded to … forever.